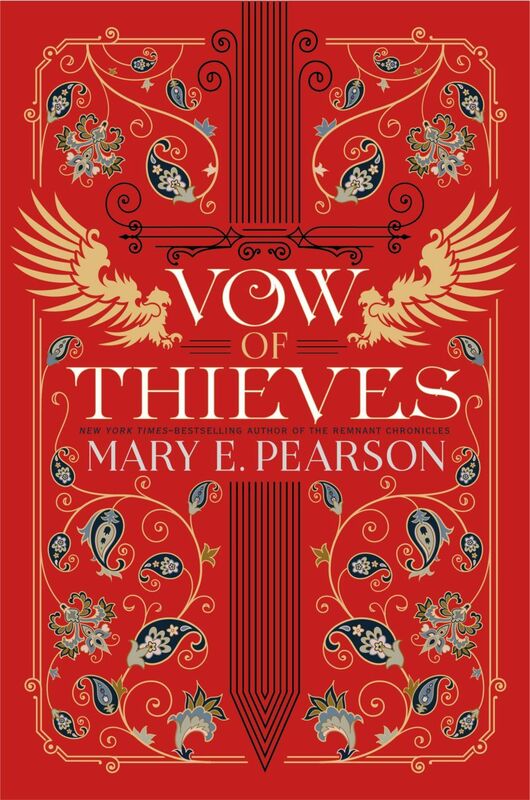 Mary E. Pearson’s Dance of Thieves sequel, Vow of Thieves, now has a gorgeous cover, accompanied by a look at chapter one of the book. Dance of Thieves introduced us to Jase and Kazi, while Vow of Thieves continues their journey. But don’t expect everything to go according to plan! Thanks to the synopsis, we know these two have quite a few obstacles to overcome still. Kazi and Jase have survived, stronger and more in love than ever. Their new life now lies before them — the Ballengers will be outlaws no longer, Tor’s Watch will be a kingdom, and the two of them will meet all challenges side by side, together at last. But an ominous warning mars their journey back, and in their rush to return to Tor’s Watch, just outside the fortress walls, they are violently attacked and torn apart—and each is thrust into their own new hell. Unsure whether the other is alive or dead, Kazi and Jase must keep their wits among their greatest enemies and unlikeliest allies. And all the while, Death watches and waits. And you can’t have a new book in the series without a brand new cover. Vow of Thieves’ cover wonderfully compliments what we saw from Dance of Thieves, and the bold color choice certainly puts you a little on edge. Vow of Thieves will hit store shelves on August 6, 2019. You can pre-order it from Amazon, Barnes & Noble, IndieBound, and Book Depository, or add it to your Goodreads list.